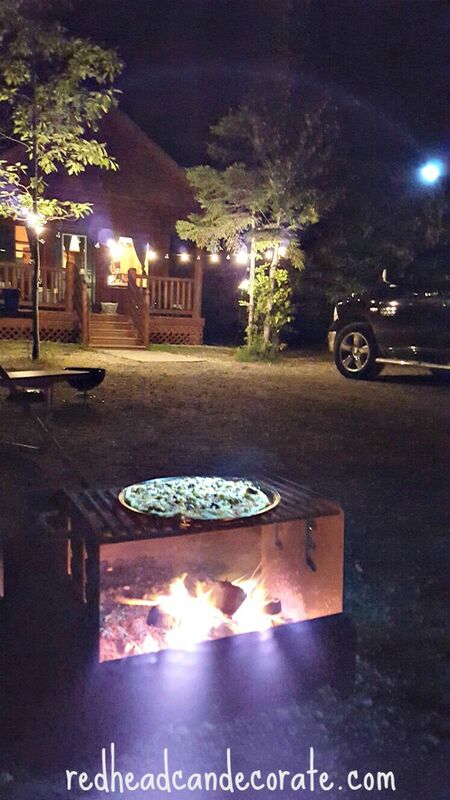 Mackinaw City, Mackinac Bridge, Mackinaw Mill Camping, Mackinac Island. 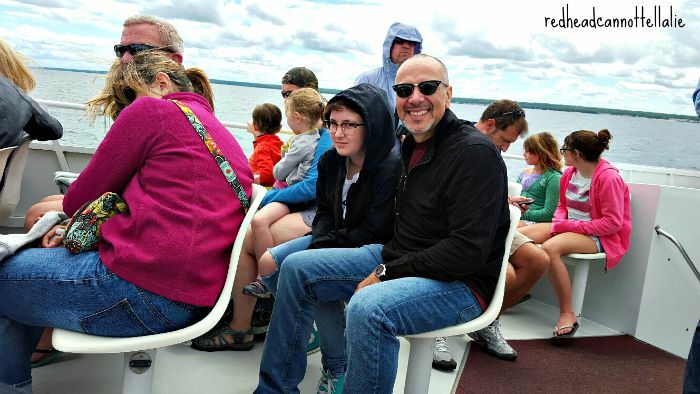 It’s like the Michigan spelling police took turns with C or W.
What I do know for sure, is that we had a fantastic time on our Mackinaw City, Michigan Vacation, and I completely recommend going there with your family. If you don’t have any idea of where this may be…it’s at the TIP of Michigan (the lower peninsula). When you see Lake Michigan on a map, that’s going in the right direction. 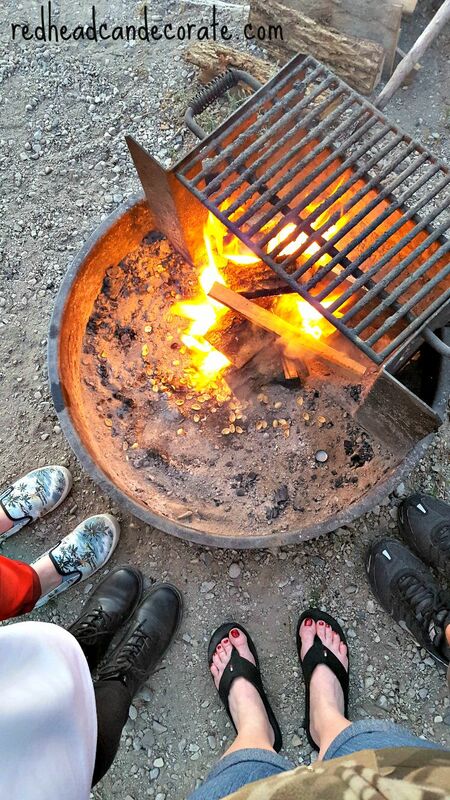 The first thing we did was start a fire and crack open the pistachios. 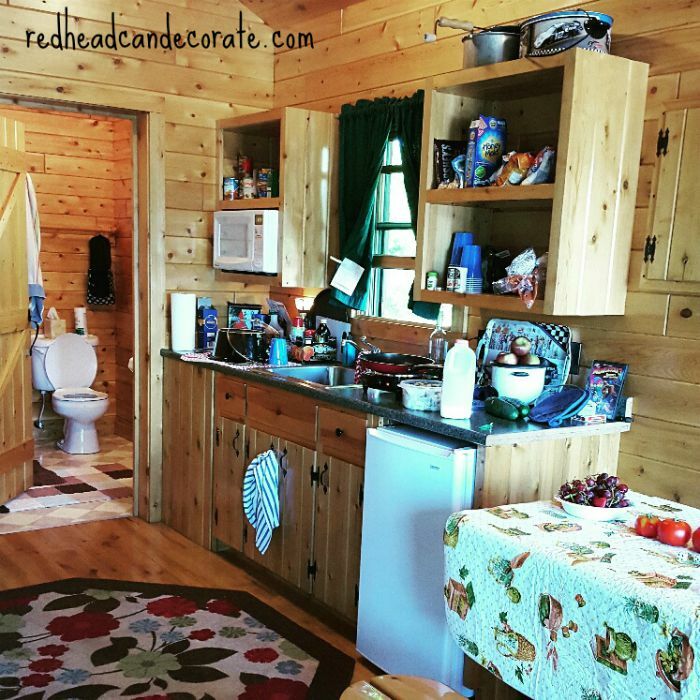 We stayed at the Mackinaw Mill Creek Camp Grounds…in the cabins. The “Bridgeview Cabin” to be exact. We got just what they promised…a bridge view. Keep in mind, they have areas for tents and RV campers, too. We enjoyed a view of the Mackinac Bridge, all while in the comfort of our own 6 person cabin with electric, water, and many other amenities including heat if needed (it’s a bit chilly up there). The shower was better than ours at home…not kidding. Totally worth it with that beautiful view. It was only a short 3 1/2 hour drive from home for us. One of my favorite things to do is just get cozy, and prep our nest. I think the place was decorated and cozi-fied in less than 20 minutes. I’ve always wanted open shelving in my kitchen. Woohoo!! We needed to bring all linens, cooking/camping equipment, personal items, and food. I brought rugs, lots of them…a total must for camping. We also had to purchase wood & ice since the fridge is pretty small. We connected as a family, and got off the internet (even though some of the sites can connect to wifi). We ate popcorn and told spooky stories. The stars…WAY BRIGHTER UP NORTH. 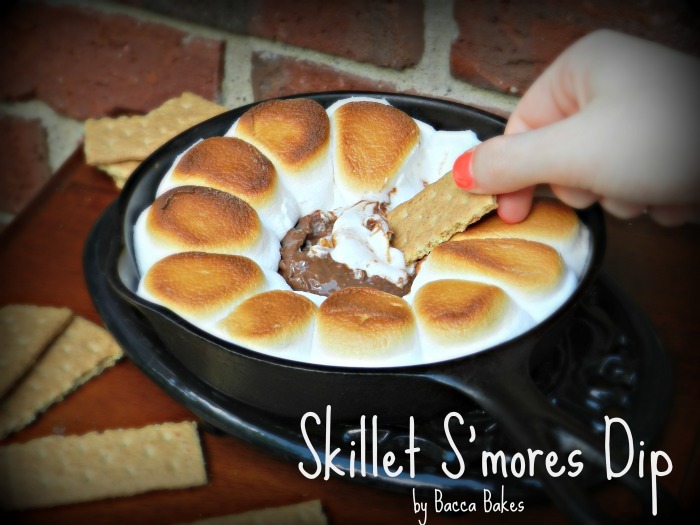 Skillet S’mores Dip recipe found here. Oh, now what have we here? The 3 little pigs, Sam, Fred, & Tony? 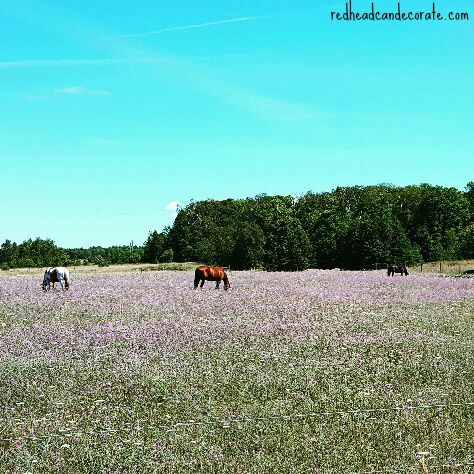 We ventured even further North to the Michigan Upper Peninsula to the famous…. We pronounce it TOE QUAN A MON. Holy cow, they were breath taking. We were able to get super close, too. Next we headed on a ferry to Mackinac Island. We got a little wet. It was windy. Some enjoyed it more than others. 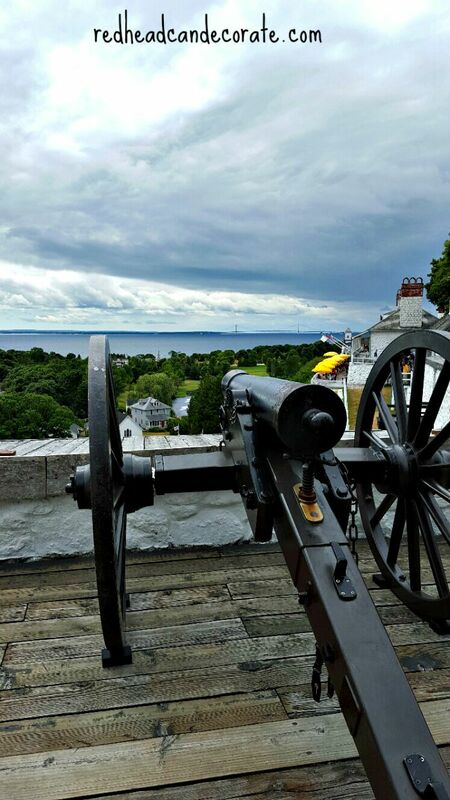 By far, the best parts of Mackinac Island, from the parts we were able to get to, were the Mackinac Fort, the chocolate fudge ice cream, and the view. Oh wait, we had good fish tacos, too. You could rent a bike and ride around the island, but we opted to eat instead. Unfortunately, we had a cloudy day, but still…you get the idea. That cannon was at the top of the fort. I was extremely dizzy up there, but ready to learn. This was the main strip…a bit too busy for us. All this exercise and outdoors made our appetites EXPLODE. We were eating a lot, but still seemed to burn it all off so fast. I got a little nutty and tried baking bread in our crock pot since we didn’t have an oven. First, I let it rise in the greased crock pot. 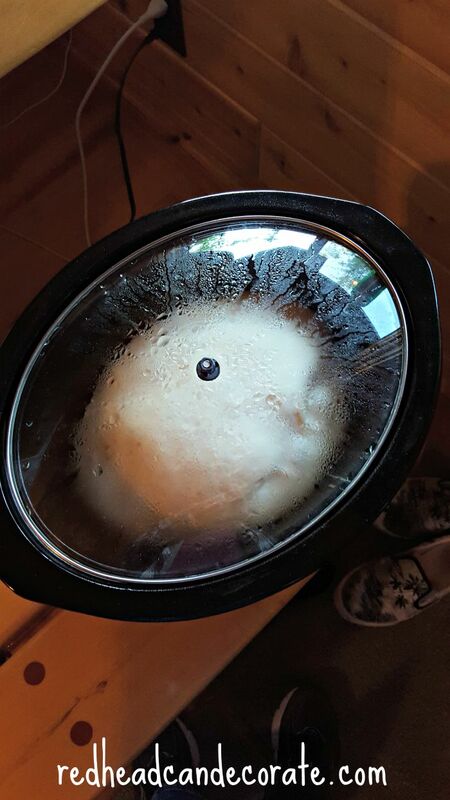 Our store bought frozen dough was already thawed previously. If yours is frozen it will take longer to rise. Once it rose, I kept it covered and baked it on high for about 2 hours and 15 minutes*. * Important: You have to flip it (with a spatula) at around the 1 1/2 hour mark to get it browned on both sides. All crockpots are different, so monitor this the first time. It was about 2 inches thick and really good. Crispy on the outside and perfect on the inside. The cabin smelled amazing and I’m sure the other campers were wondering what we were doing while they ordered Jets Pizza. 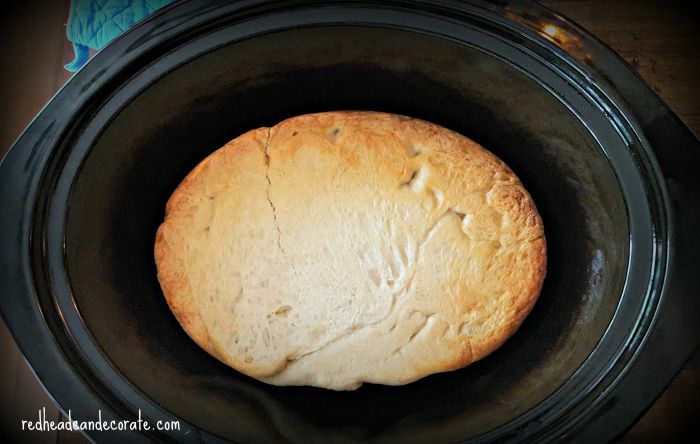 If baking bread in the crock pot scares you…maybe you can try grilling it instead. These are both great alternatives if you don’t have an oven. Then if all that trouble really freaks you out…there are plenty of fabulous restaurants in the Mackinac area. There were so many we had a hard time choosing. 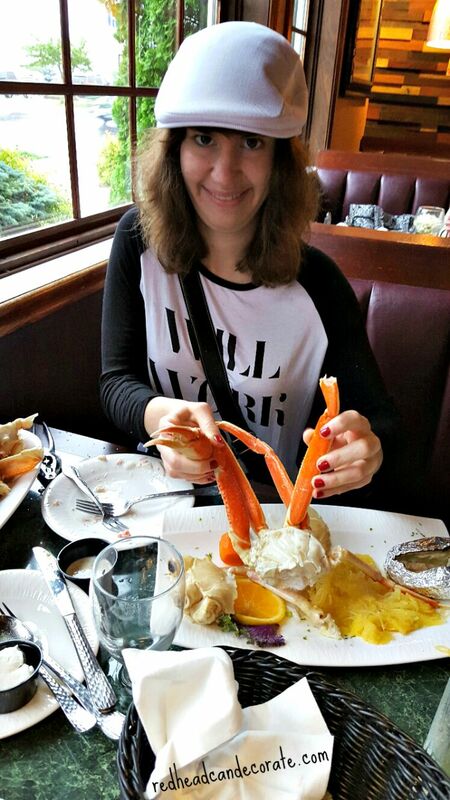 We had all you can eat crab…and all you can eat shrimp. 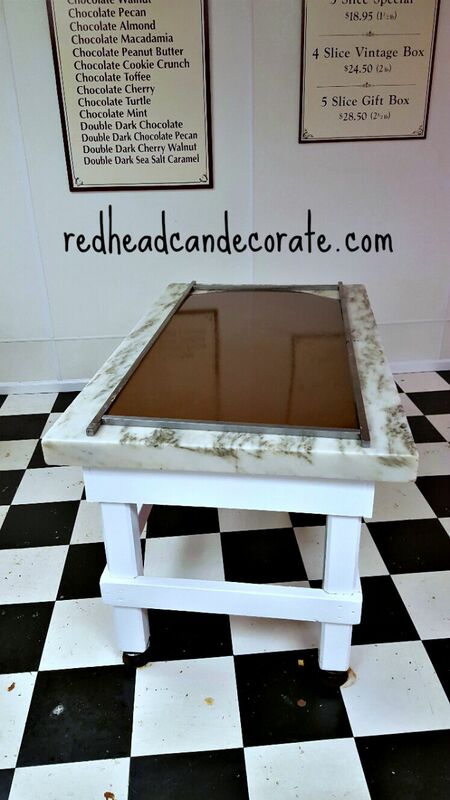 Did you know Mackinac is famous for their fudge? After all that eating….time to exercise. 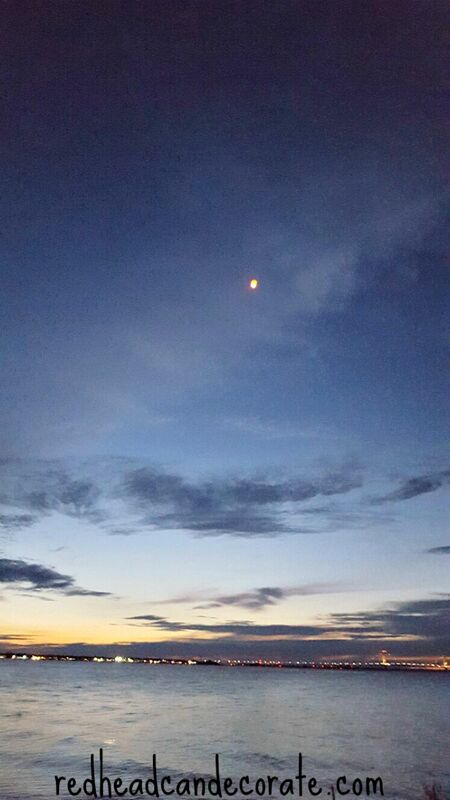 We even lit a Chinese lantern for a friend fighting cancer. 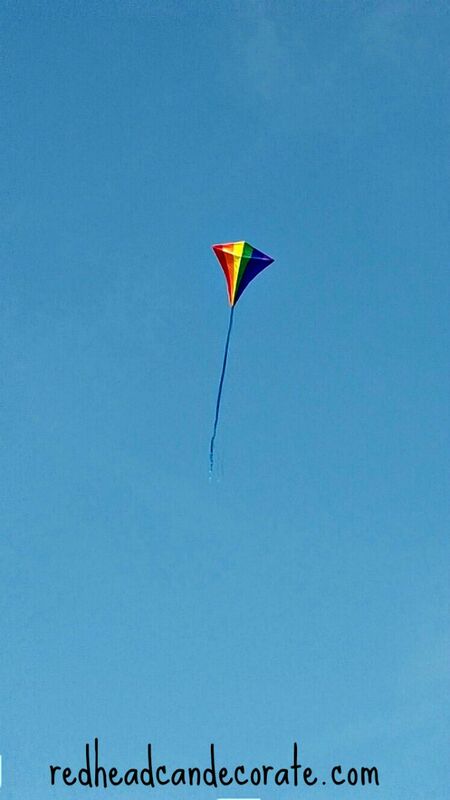 It blew right over the beautiful Mackinac bridge that connects the lower Michigan peninsula to the upper peninsula. I told Rick to PULL OVER so I could take this photo while we were on our way fishing. I swear that was Black Beauty out there. Couldn’t have spent it in a better spot. Then again, as long as I have him with me…I don’t care where I am. Get your frozen dough out the morning you plan on eating this for dinner, or for a late night snack. Let it sit on your counter until it's room temp. and has risen in the bag. Make sure your grill is free of all debris and very clean. Spread dough out on an olive oiled pan first to get it flat. Spread olive oil on top. Flip it and lay it on the grill and let it cook about 5 minutes, or until lightly browned on the bottom. While it's cooking, carefully spread olive oil on the top of the raw dough side. When bottom is ready, flip it over onto a greased pan so you can put toppings on the cooked dough side. After toppings are on, slide it back onto the grill (for about 7-10 minutes) to cook the bottom and melt the toppings. You can cover the grill to speed it up. Slice it up and enjoy!! Makes me miss my family when I was younger and we would go camping at gulf shores. Thanks for sharing this with us. 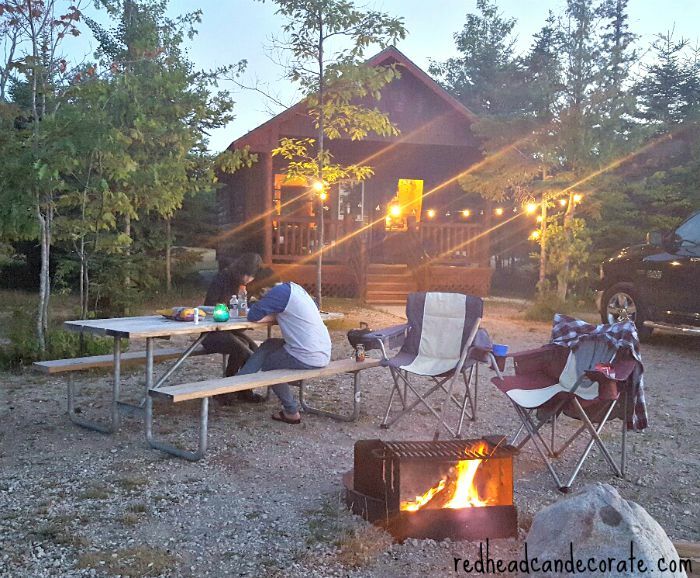 Thanks for sharing your Michigan adventure with us. I grew up in Michigan. 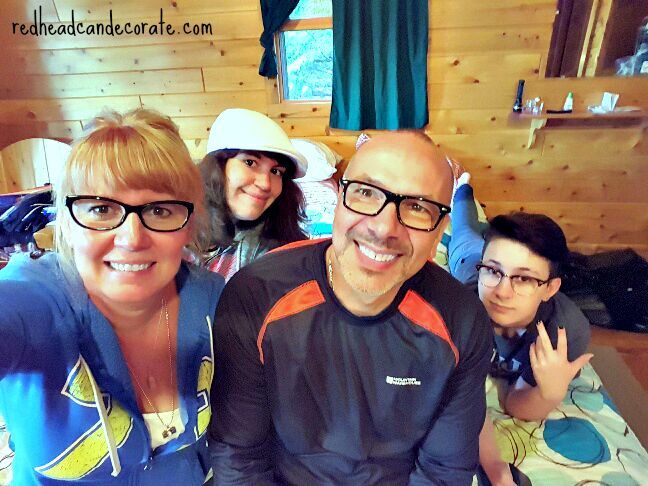 My family camped all through Michigan including the upper peninsula. Yes, it does get chilly up there! I remember the beautiful upper and lower Taqaunamon Falls. 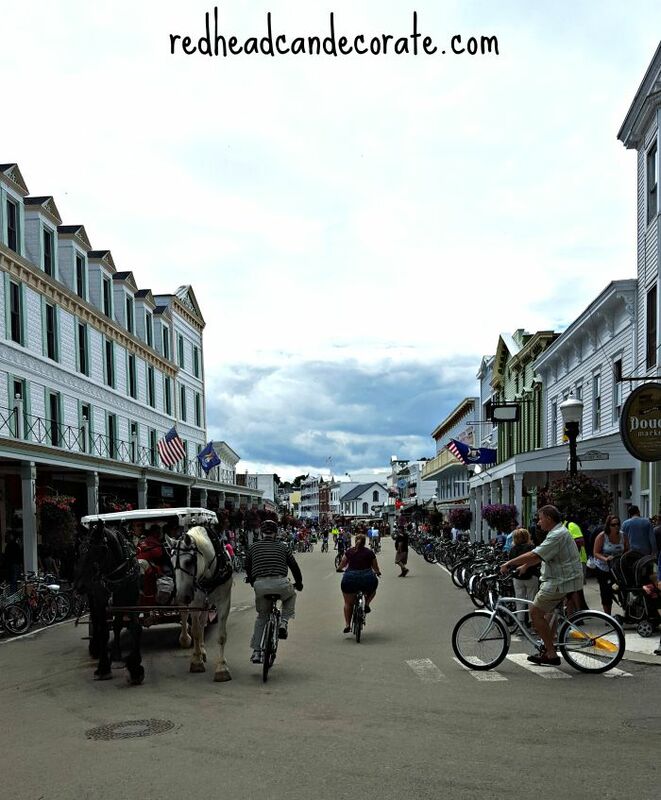 While on the island, did you visit the Historic Mackinaw Hotel? It has the largest porch in the world! I love how no motorized vehicles are allowed. Thanks for the bread recipe, I will try it. I lived in Michigan years ago and have been to M.Island. It is just as pretty as i remember. Glad you had such a great trip. What beautiful photos and looks like such a great place to visit. For your crock pot bread, I assume you started out with frozen, store bought bread? 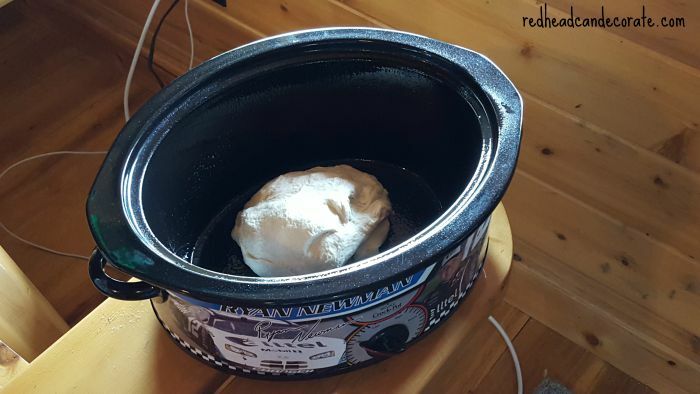 Yes, just spray the crockpot, then set the frozen dough in there, cover it, and let it sit (on off) until it rises. Julie, Your vacation sounds and looks wonderful. The photos are awesome; such beautiful scenery. I can see that you really did ‘cozy up’ the place……..love the tablecloth & rugs idea. I’m so gonna try the bread in a crock pot and the pizza on the grill. I’ve been ‘trying’ to make some things on the grill; sometimes it’s a hit and sometimes NOT. Usually my husband does the grilling but now that I’m retired I give it a shot once in a while. Thanks for sharing; really enjoy everything you do. Thank you, Carol. I look forward to your comments every week!! 🙂 I hope you try the bread!! Julie, so glad you are enjoying “up North” MI. I grew up here and love it. Stayed on Mackinac Island many times. The main street is not so busy after the “fudgies” go home at night. We learned that after staying on a boat there. If you go back walk up on the high land where it is not busy. I just signed up for you Blob and am loving it. Especially now that you are a “michigander”! Oops.. I should spell check…Your Blog. Sorry! Thanks for the great vacation recipes. We’re getting ready for ours. 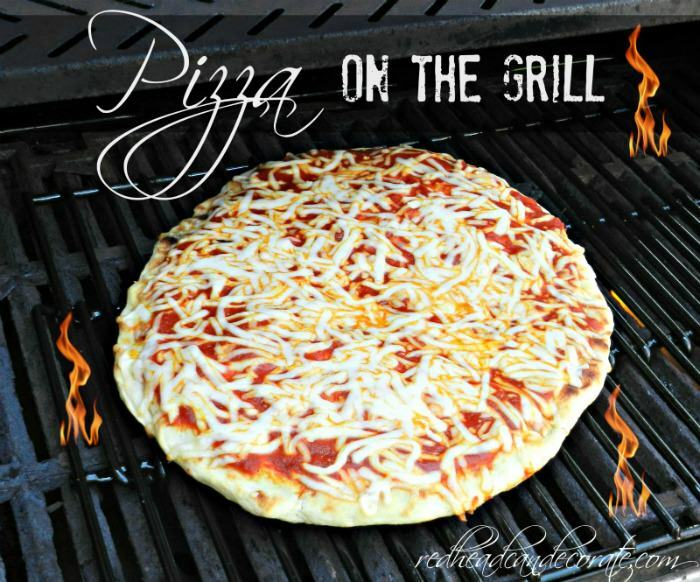 I tried pizza on a grill over a fire once, and it was a disaster. I’ll have to try it on a gas grill. 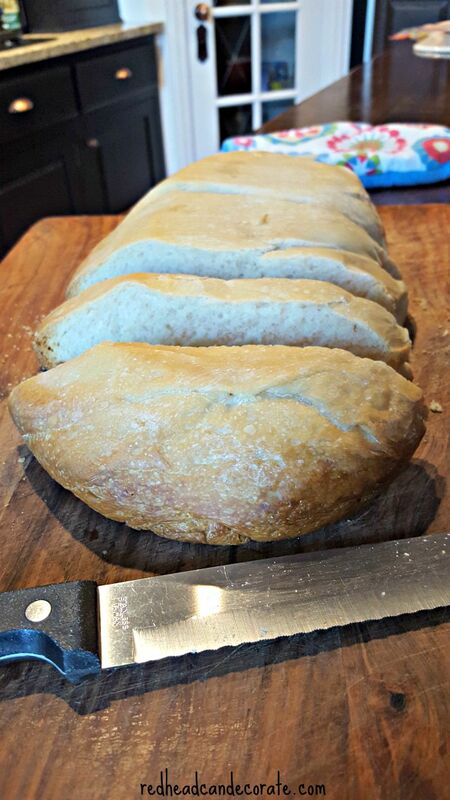 Oh, and I made bread in a dutch oven once. That was a success; all the campers around us were jealous. Great vacation pictures. Thanks for sharing them. Looks like you guy had a blast! I grew up in MI and loved it! 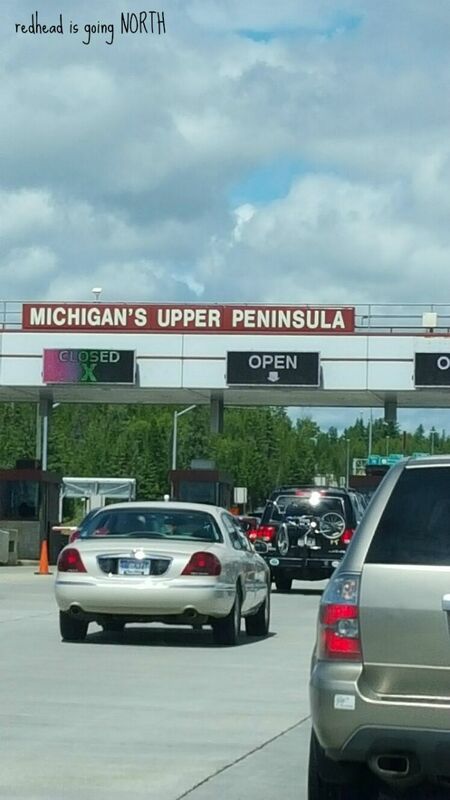 I currently live on the OH/MI and we vacation in Mackinac and we enjoy visiting the island. Where is the cabin you rented? Mackinaw Mill Creek! Did I forget to mention that? I was wondering where the recipe is for it. It’s not sour dough. My directions are in the post. 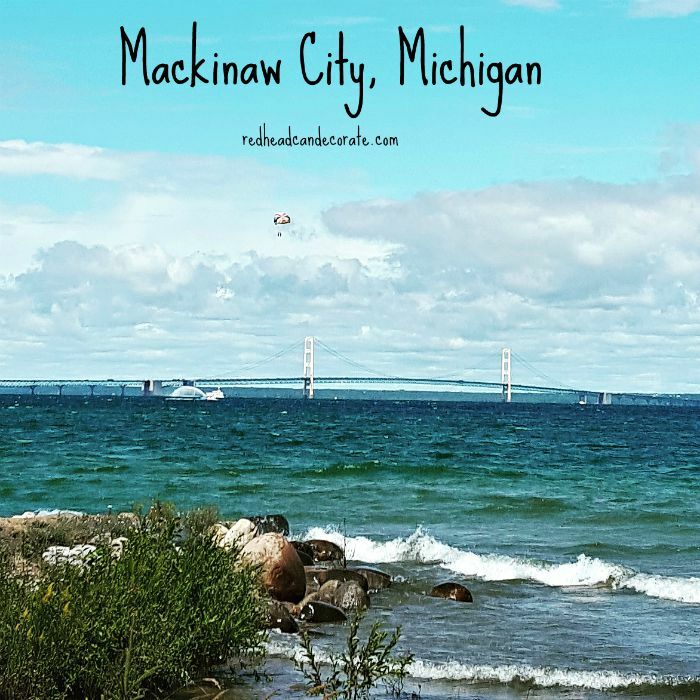 You are right – it is spelled Mackinac, but pronounced Mackinaw. I’ve lived in Upper Michigan (the U.P. 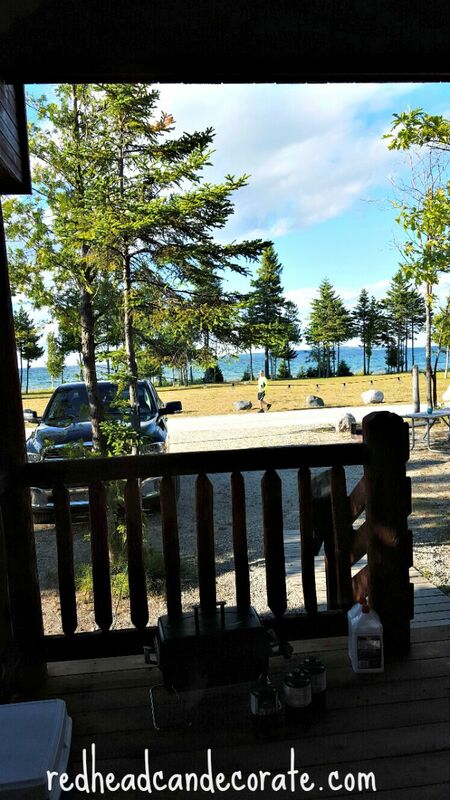 Upper Peninsula, or the Yoop) my whole life. Lately I’ve seen it spelled with the “aw” which I think is for pronounciation. Thanks for giving our beautiful State a great show with awesome photos and great ways to spend a vacation with family. 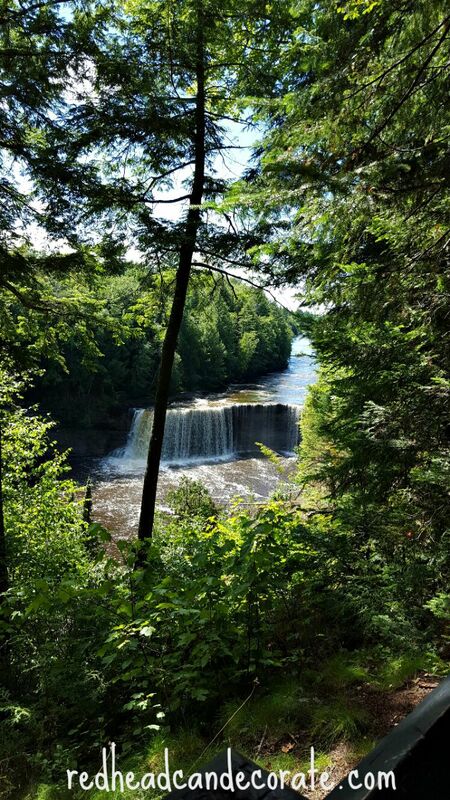 The Tahquamenon Falls are beautiful, but I’ve seen some beautiful sites in your homestate as well. 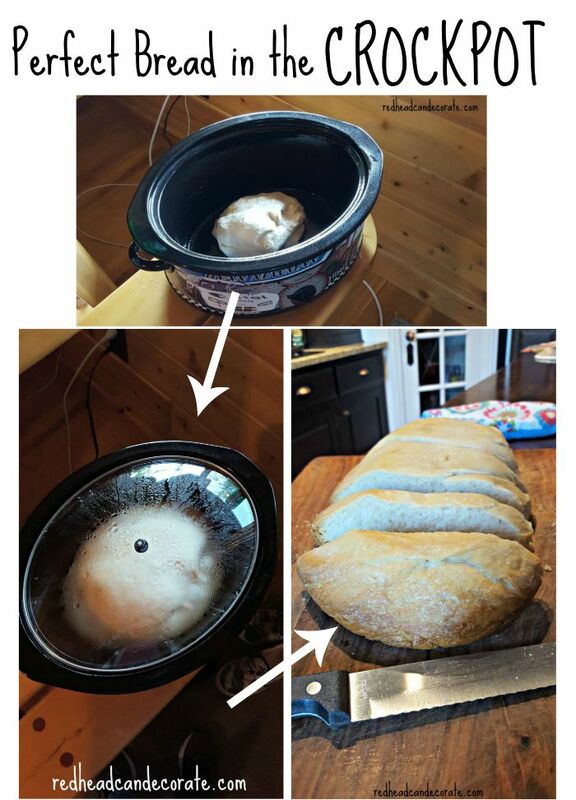 I came to this post to learn about the bread, and found so much more! Absent minded me; I thought I had let you know…….but I guess I forgot! Tried the crock pot homemade bread and it was fantastic. Will be making it often this winter. Thank you for the great tip. 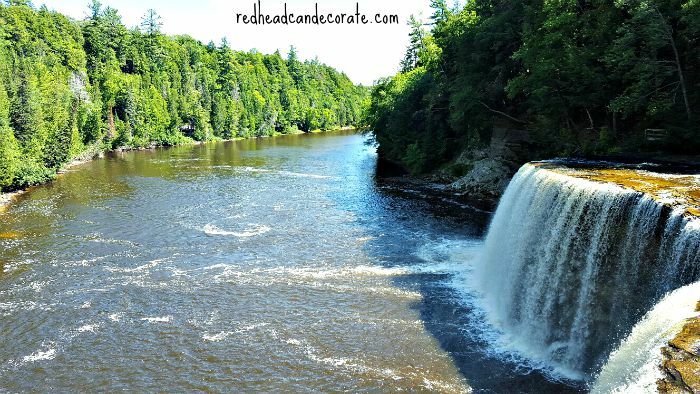 It’s Mackinaw City (you were correct), and Tahquamenon Falls 😉 I live in the U.P…. Truly God’s country! My husband and I did a Michigan vacation when we were still dating. We used his family’s RV and went to Grayling (where he did his National Gaurd summer training camps), Traverse City, CharlevoixCharlevoi (sp?). Then we headed to Macinaw/Macinac. 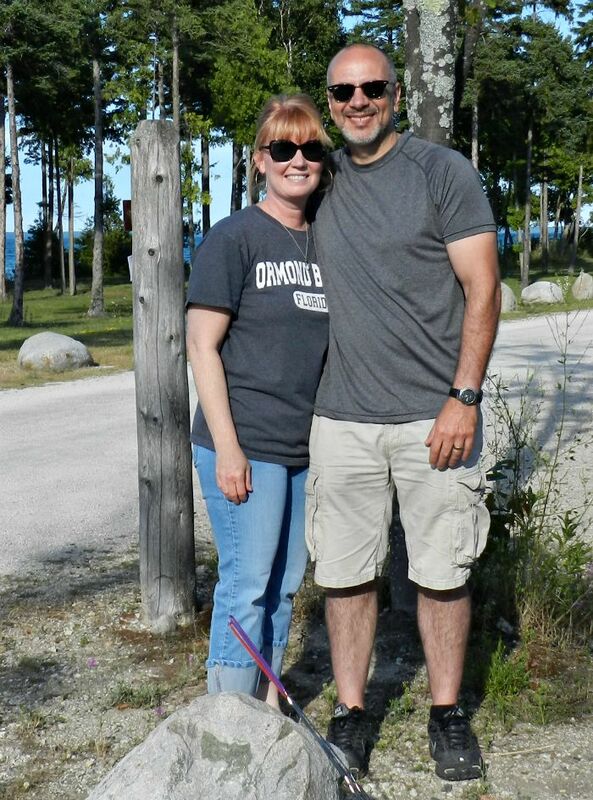 We crossed the bridge and stayed at the state park campground in St. Ignace. We stayed at state park campgrounds in the RV the whole trip. This was in ’97 and the nightly rate was $15.00 from ST. Ignace we drove up to Saulte Ste Marie and saw the “Soo” locks. 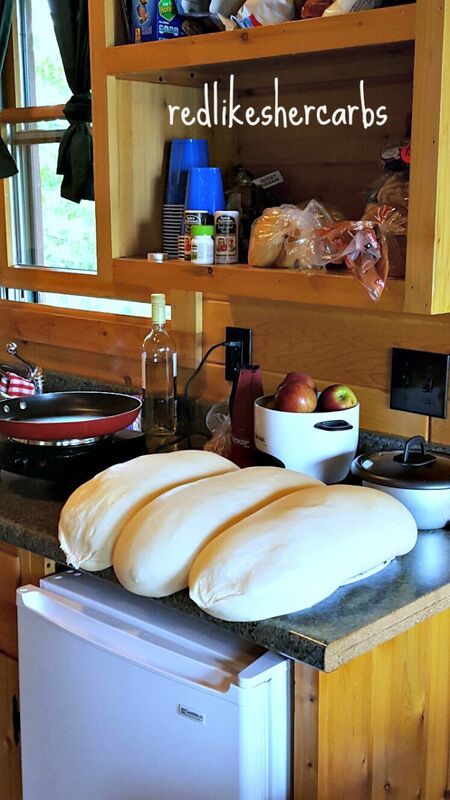 I use Rhodes or Tiseo’s, but any frozen or fresh bread dough will work.